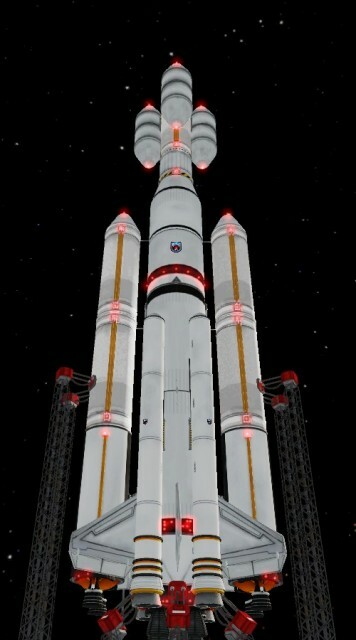 A friend of mine made a 100 Ton lifter in KSP. It looked cool, but the orange tanks bothered me. Once I started editing it, I got a little carried away.